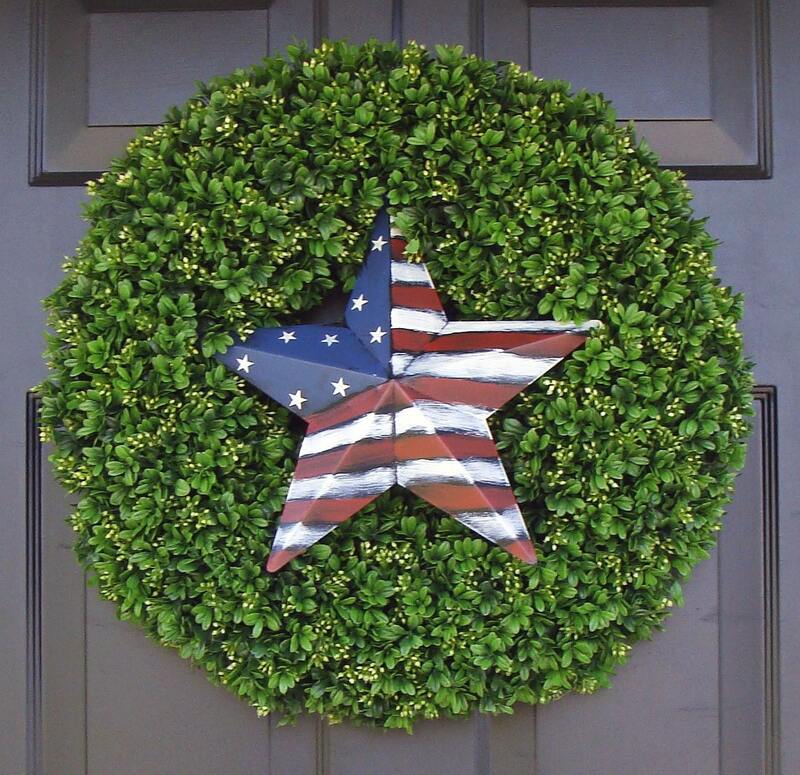 Show your patriotic spirit with this beautiful 20 inch boxwood wreath accented with a large rustic metal American Flag Star! 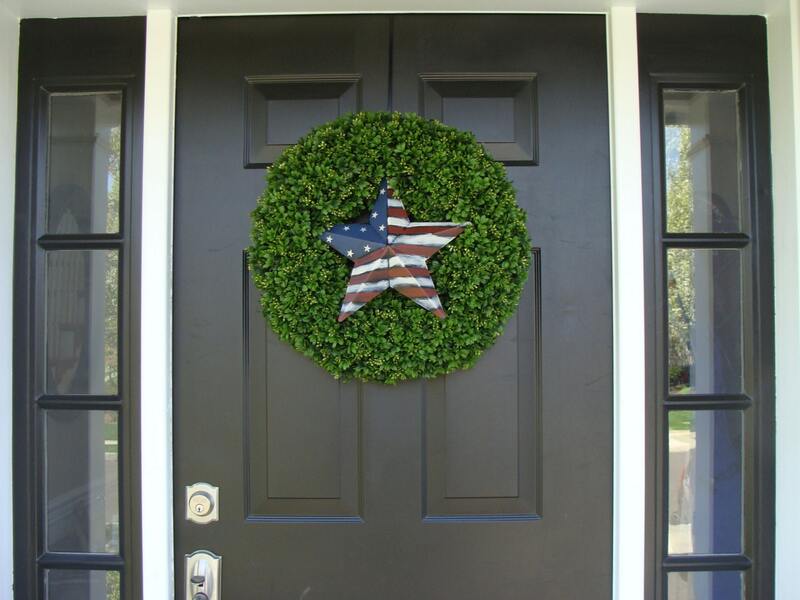 Full, lush, realistic artificial seeded boxwood was used in this traditional boxwood wreath. Either indoors or out, this wreath will last for years since it is made of durable plastic faux leaves. Even the sides are partially covered to create a nice full wreath. You will love how detailed and realistic it really is. 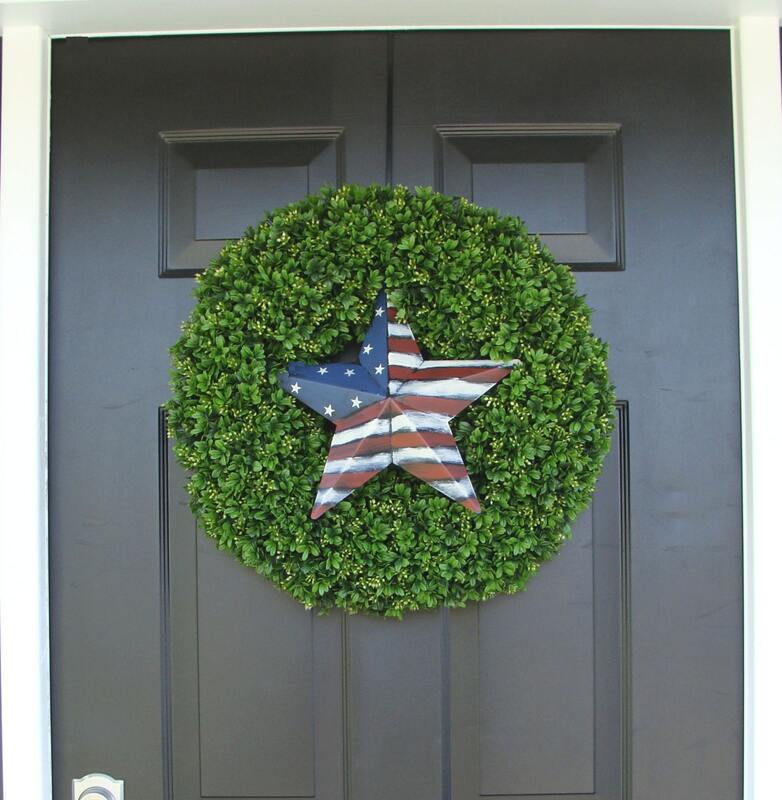 Use from Memorial Day through July for a great traditional and elegant wreath. Plus you can be proud to say that it is "Made in the USA"! 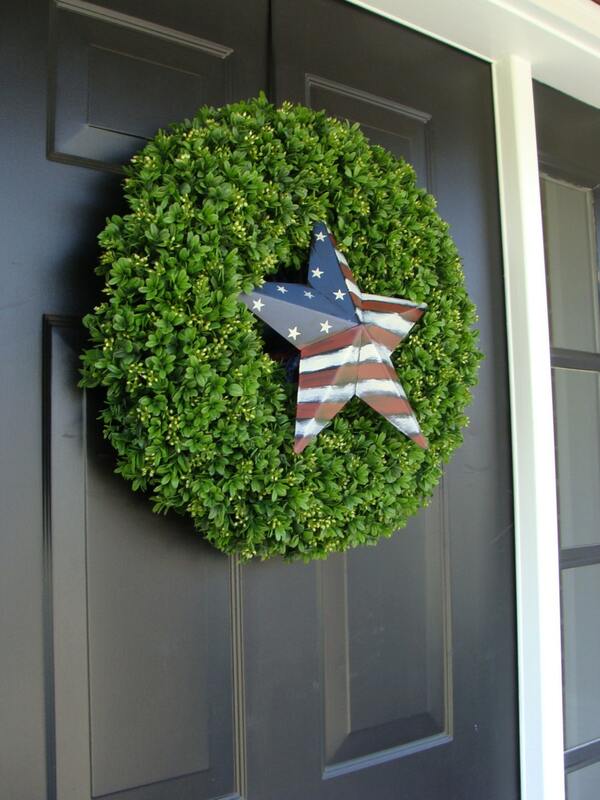 The star and ribbon can be removed leaving a boxwood wreath that can be used year round. Measuring 20 inches in diameter and 5-6 inches deep, this full, elegant wreath will be a beautiful addition to any decor. See my shop (elegantholidays) for many other beautiful, quality, handmade wreaths! Any wreath will make a great gift for a loved one or friend so you can always get two and save on shipping or have your gift shipped directly. Custom wreaths are always available so just convo me for options. Wreaths are always shipped via insured UPS service. I love my customers and always strive to provide a quality wreath for a great price! I’m so in love with this wreath, the quality is amazing and it made my door look so classy this summer! Quality product and totally worth it!